Tomorrow is the last farmers’ market of the season for McClendon’s Select. 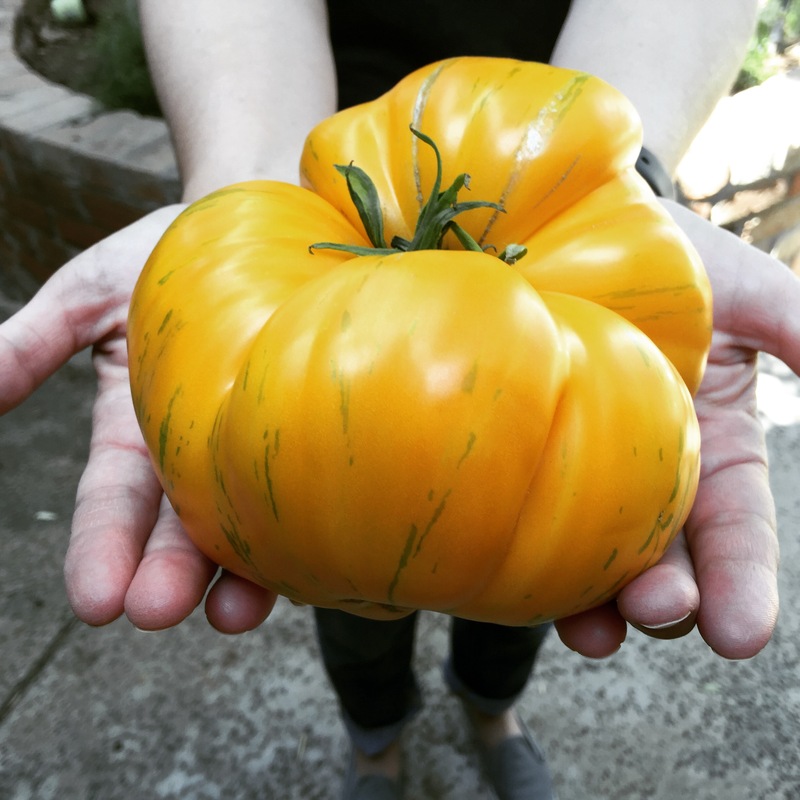 We will be at the Uptown Wednesday tomorrow from 8:00am to noon with all sorts of beautiful heirloom tomatoes. The beauty above was picked yesterday and weighed in a three pounds. (And was… delicious!) We will also have fresh organic corn that is being harvested as I type, and organic mini watermelons called “Solitaire” that are a beautiful bright red inside and so sweet and refreshing. During the rest of the summer John’s Amish Country will be selling McClendon’s Select produce at the Uptown Saturday farmers’ market. For our Scottsdale customers who are unfamiliar, the market is located at the North Phoenix Baptist Church, on the southeast corner off of Central and Bethany Home Roads. The Saturday market is open from 8:00am to noon and will be moved indoors this summer so you may enjoy the air conditioning while you shop. John’s Amish Country will have a selection of fresh produce from our farm throughout the rest of the summer. McClendon’s Select will be back at the Uptown Wednesday market the first Wednesday of October. We want to thank all of our customers for your continued support of our farm. We are truly grateful to get to do what we do and we have the best customers who help make that possible! We hope that you have a wonderful summer. Stay cool… we will see you in the fall!